You control how much, when, and for whom. 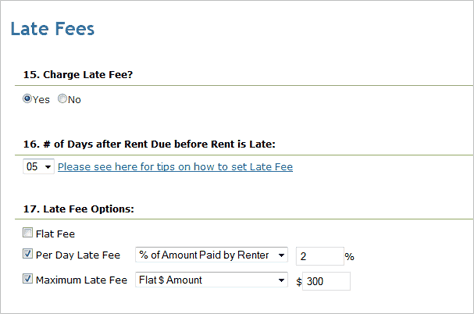 Whether to charge late fees is something you should have complete control over so we let you set it individually for each rental property, and you can even do a manual override for a single month if needed. We offer Flat Fee and Per Day options along with a Maximum Late Fee setting within each rental property. 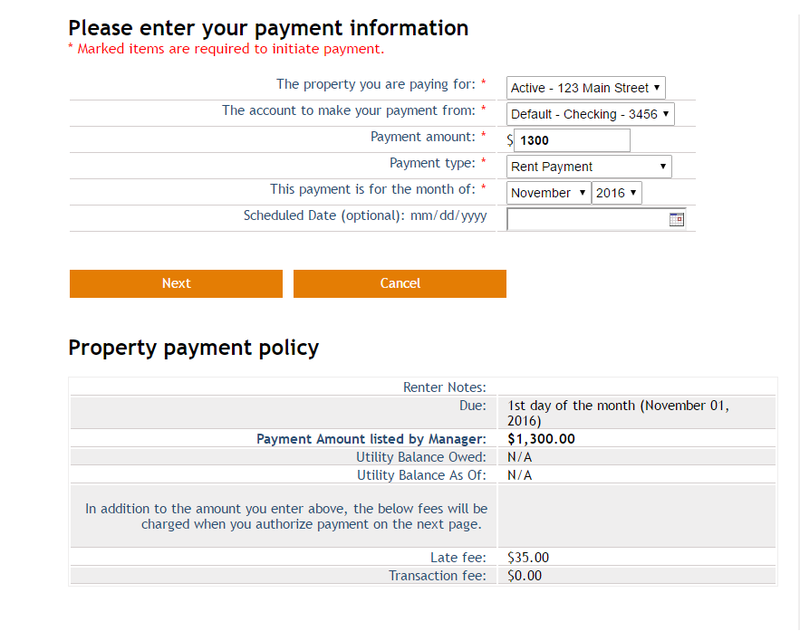 For each option you can select a Flat $ amount, % of the Amount Paid, or a % of the Rent Amount listed in the property record. The system can automatically calculate fee assessment at the time of the late rent payment based on the set fee structure. This one-step tally of the amount due helps simplify rent payments for tenants.